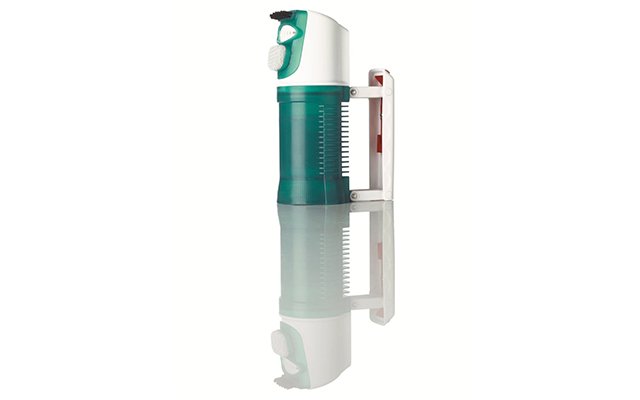 We want to look our best even when traveling, which is why portable steamers are so popular to begin with. These portable devices substitute traditional clothes irons quite effectively, providing a multitude of other useful services at the same time. 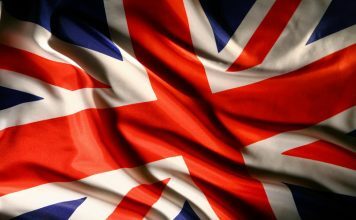 The best things about them? 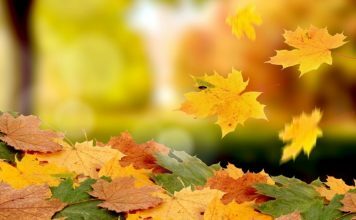 They require minimal maintenance and they’re very lightweight, at least when compared to clothes irons or standard steamers. This being said, let us find out what are the ten best travel steamers on the market and what are the characteristics that make them stand out from the rest. Equipped with a built-in 130ml water tank, this compact steamer will provide you with all the steam you require in a timely fashion. To be more precise, it only takes the Kazoo Compact 2 minutes to heat up completely, providing you with 10 minutes of continuous steam afterward. 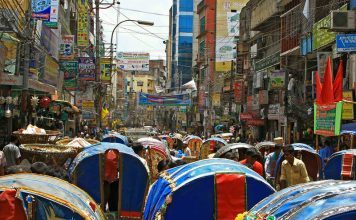 At the same time, this steamer is lightweight and very maneuverable, which makes it perfect for anyone who travels a lot. 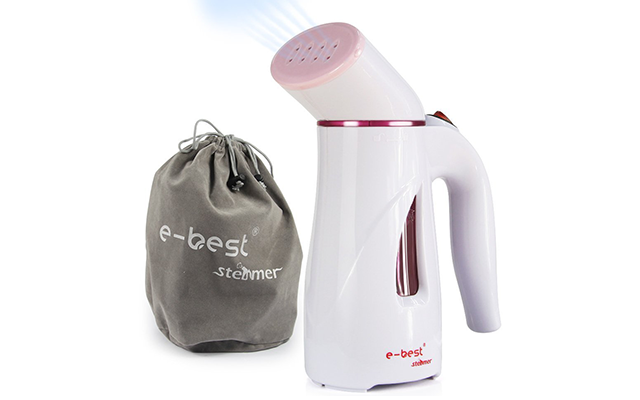 Although portable and fairly light, this particular steamer is one of the most powerful on the market. 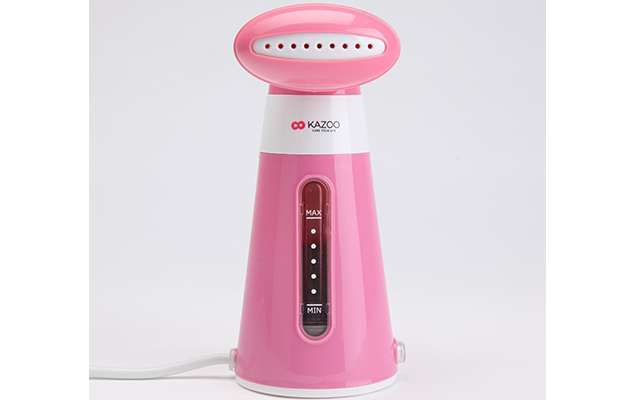 Thanks to its 800W heating capacity, it will start emitting wrinkle-busting steam just 2 minutes after turning it on, a steam flow that it will be able to sustain for up to 10 minutes continuously. Interestingly enough, it also features an auto shut-off feature that shuts down the device automatically if it gets too hot. Thanks to an Extreme Dual Heat Technology, Conair Extreme Steam can create a concentrated steam that is up to 30% hotter than what most steamers are capable of. 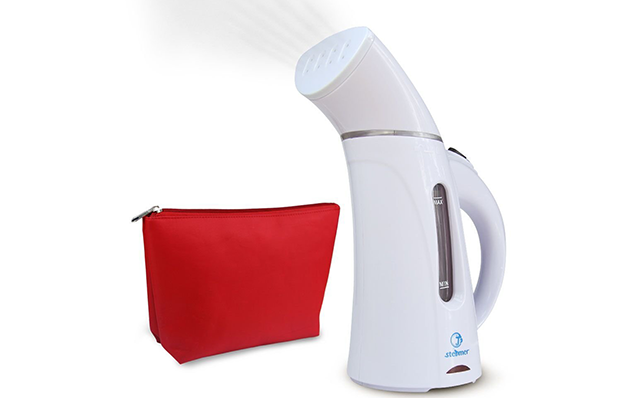 This hot steam will penetrate heavy fabrics more efficiently, releasing wrinkles up to five times faster than usual, killing dust mites and bed bugs in the process. We should point out however that this hot steam requires 1,110W of power. 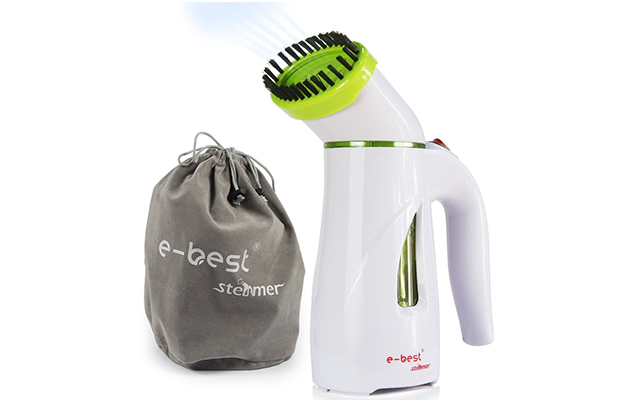 Designed to be more than just a steamer, E-best’s Textile and Fabric Vapor Steamer Cleaner is also a pretty efficient cleaner like the name suggests. It will remove wrinkles with ease by using just plain tap water and no other additives whatsoever. Due to its unique shape, it is also very unlikely that it will tip over and spill its water contents, water that turns into a powerful steam just two minutes after turning the device on. Although a bit bulkier than other steamers on our list, this highly efficient steamer from GeeWow will do everything you would expect of any quality steamer and then some. Capable of running at full capacity less than a minute after plugging it in, it won’t keep you waiting until the steam is ready like traditional steamers. At the same time, we should point out that it has a 900W heating element, which makes it one of the strongest on the market at this point in time. 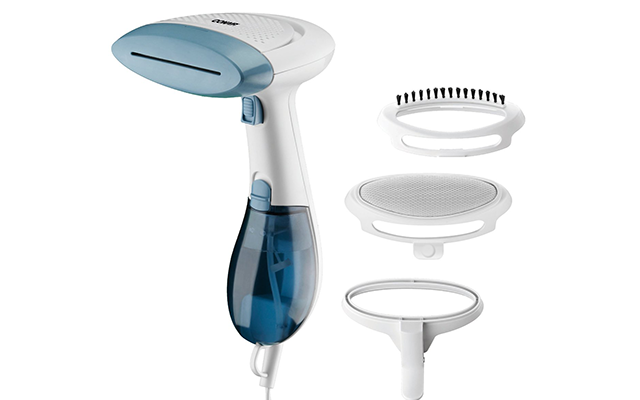 Despite it having a 400W heating power, we assure you that Conair’s Travel Smart steamer is as good as they come. Thanks to a dual-voltage system, this particular steamer heats up the water in its tank just as fast as stronger steamers. 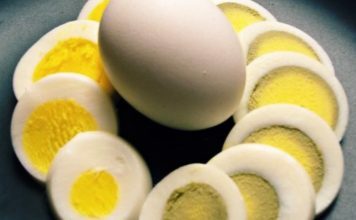 After it has reached the optimal temperature, it will provide you with continuous steam for up to ten minutes or more. Furthermore, it comes equipped with a detachable bristle and a lint brush for good measure. This handheld steamer is perfect for people who travel a lot, not only due to how lightweight it is but also thanks to how little maintenance it requires. 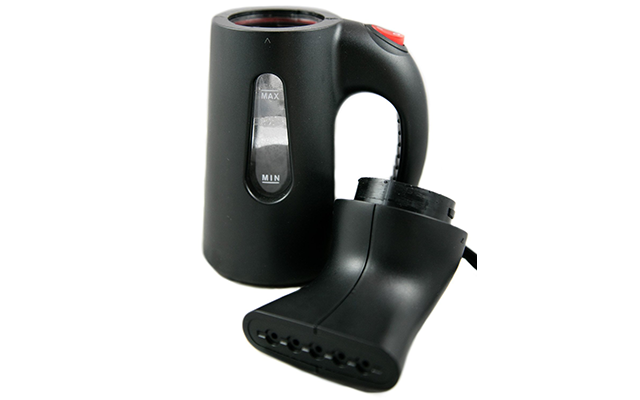 We should also point out that it is one of the most powerful handheld steamers on the market, thanks to its 600W heating element that will heat up water in just 15 seconds or less. As far as potency goes, it features an 110 ml tank that you can very well fill up with tap water or any other type of water for that matter. 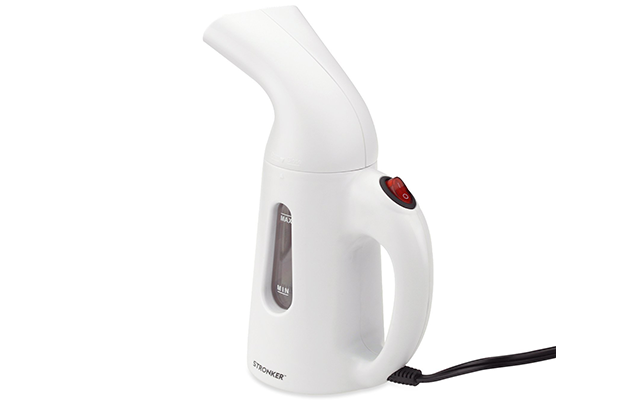 Equipped with a 600W heating element, this handheld steamer will provide you with 15 minutes of continuous steam that you’ll be able to use just 1 minute after turning on the device. It also features a high-impact plastic outer housing for greater durability, a housing that is surprisingly lightweight at the same time. Interestingly enough, despite being so small, it can provide you with roughly the same steam output as a high-end steamer. 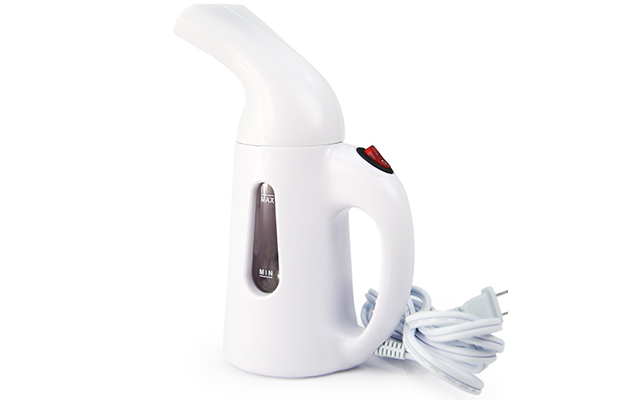 This portable steamer from J. Cotton can hold up to 150 ml of water that it can turn into powerful steam in less than 30 seconds thanks to its 700W heating element. Designed with versatility in mind, it will remove any wrinkles from hard and sensitive fabrics alike as safely as possible. It also has to be said that it has a very maneuverable design that is not only easy to operate but easy to store away as well. 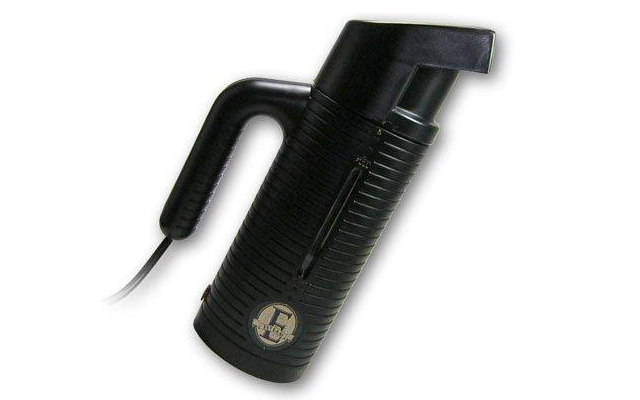 This Mini Travel Portable Garment Steamer from Ebest is one of the most popular handheld steamers on the market and it’s easy to see why. For starters, it features a powerful 700W heating element that can provide you with at least 10 minutes of continuous steam. 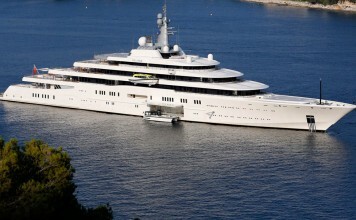 Second of all, it can handle almost any type of material, no matter how thick or soft. Last but not least, it comes equipped with a safety auto shut-off feature and a 6 ft power cord.